You’ve heard that the children of Israel wandered in the wilderness for 40 years, right? The book of Numbers tells that story. Numbers follows Moses and Israel’s journey from the foot of Mount Sinai (which is where Leviticus ends) to the edge of the promised land of Canaan. If this were a regular road trip of the time, the journey would only take about two weeks. So why does it take 40 years? When the people get about halfway there, Moses sends a few spies into the land to scout it out for the upcoming invasion. (The current inhabitants probably aren’t going to welcome them with open arms.) Most of the spies come back in a panic, claiming that the Canaanites are far too powerful for Israel to overcome. This leads to a revolt, with the people refusing to take the land. God gives them their wish, decreeing that the whole generation will die in the wilderness, and the land will be taken by their children. Moses—the prophet and human leader of the nation of Israel. He’s the chief spokesperson for God to his people, and vice versa. Aaron—Moses’ brother, and the high priest of Israel. Eleazar—Aaron’s son, who takes his place when Aaron dies. Balaam—A diviner for hire from far away. He is hired by Israel’s enemies to curse God’s people. Joshua—Moses’ aide who spies on the people of Canaan. God selects him to be Moses’ successor. Key themes: what is Numbers about? The Israelites rebel against God and Moses several times in the book of Numbers. They complain about food. They complain about water. They complain that they’ll be crushed by their enemies. They complain about Moses (and even make a few death threats). When the people complain, God hears them—and it doesn’t go well. The book of Numbers has stories of God killing rebellious Israelites with fire, plague, and snakes. Sometimes Moses calls to God for help when the people turn on him—sometimes God punishes them directly. But even though the people prove to be rebellious, God extends mercy to them. Rather than killing off the whole nation in the wilderness, he waits for the rebellious generation to die and preserves the younger people. He continues to provide manna, that mysterious bread from heaven. He even prevents Balaam, the pagan prophet, from cursing the people. This is still the Torah, after all. The book of Numbers is a string of episodes from Israel’s journey. And the author punctuates many of these episodes with a new set of laws given to the people. Numbers doesn’t have the big, bulky sets of laws we see in the latter half of Exodus, Leviticus, and almost the whole of Deuteronomy—but there’s still plenty of rules in here. Moses deals with the pressures of leading a new nation, at one point asking God why he has to bear the burden of leading them to Canaan. He feels like an unappreciated nanny forced to carry more than 600,000 squalling brats across the wilderness. Moses tells God early in the book, “I cannot carry all these people by myself; the burden is too heavy for me. If this is how you are going to treat me, please go ahead and kill me” (Nu 11:14–15). Time and time again, God makes it clear to the people that Moses is his chosen prophet, and Aaron is his chosen priest. However, due to an episode of Moses’ disobedience, he is not permitted to enter Canaan, either. Back in Genesis, God made a pact with Abraham, saying that one day, his descendants would inherit the land of Canaan, and through those people all the nations of the world would be blessed. Furthermore, God promises to bless those who bless Abraham and curse those who curse Abraham. The name “Abraham” only shows up once in the book of Numbers, but if you look closely, you’ll see that God is at work fulfilling his promises to Abraham throughout the book of Numbers. As you read and study Numbers, you need to keep an eye on what the book says about the land of Canaan, what happens when someone tries to curse the people God chooses, and any hints of a king coming from Israel. Numbers isn’t a standalone book. 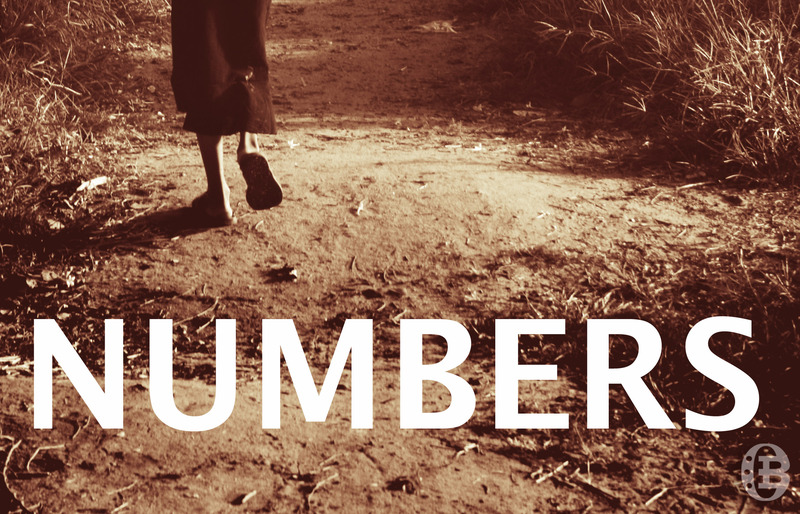 Numbers is the fourth book of the Pentateuch—Israel’s five-movement origin story. Reading Numbers without at least familiarizing yourself with the previous three books (Genesis, Exodus, and Leviticus) is kind of like tuning in to the fourth season of a TV series—you’re not going to know what’s going on if you didn’t see what happened beforehand. In Genesis, God makes promises to Abraham, the patriarch of Israel. God specifically promises that his descendants will be given the land of Canaan, that the nations would be blessed through him, and that God will bless those who bless Abraham and curse those who curse Abraham. Abraham’s family grows, and the book ends with about 70 of his descendants as refugees in Egypt. At the start of Exodus, the nation of Israel has grown—but they’ve been enslaved by their Egyptian overlords. God sends his people a prophet, Moses, who speaks on God’s behalf to both Israel and Pharaoh. God frees Israel, and leads them to a mountain in the wilderness (Mount Sinai), where he makes a special agreement with them. They promise to follow his commands, and he promises to dwell among them, giving them his blessing and protection. The book of Leviticus focuses on how a nation of mortals can cohabitate with the God of heaven. Numbers picks up the story right as the Israelites have been at Sinai for a year. 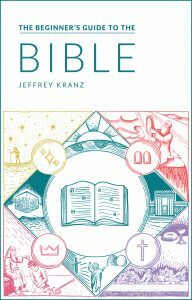 The book opens with Moses taking a census of the people in Israel. (That’s why we call the book “Numbers.”) Israel has been camping in the wilderness for a year now, and it’s time for them to be on the move. Moses gives the nation orders for how the twelve tribes should position themselves as they camp and as they move through the wilderness—with the tabernacle of God being at the center of the camp. A good deal of new laws, rituals, and sacrifices that take place here. This isn’t a very pleasant journey. The people complain against God and Moses—and God sends fire and a plague. Moses’ brother Aaron and sister Miriam speak out against him, and Miriam is temporarily afflicted with leprosy. When the Israelites get about halfway to Canaan, Moses sends twelve spies into the land to scope it out. Two of them, Joshua and Caleb, tell the people that the land is good, and God will give it to them. The other 10, however, have no confidence that they can take the land—they believe the forces protecting Canaan outmatch Israel. Things get a little worse before they get better on this trip. Moses disobeys God in front of the people, and he too is prohibited from entering the promised land. Aaron dies, and his son takes his place. Israel defeats several enemies along the way. They end up just across the Jordan river from Canaan, in the plains of Moab. Israel makes camp just across the Jordan river from Jericho (yes, that Jericho). They’re a force to be reckoned with—they’ve defeated some armies and a few of the tribes begin settling the east side of the Jordan permanently. As you can imagine, the surrounding nations are freaked out. They hire a jerk named Balaam to curse Israel, which doesn’t work out. (Remember God’s promise to Abraham in Genesis?) Then Balaam gets a different nation to send in their daughters to seduce the Israelites and get them to worship other gods. That doesn’t end well for Israel at first (yet another plague). But it’s an even worse deal for the other nation—five of their rulers and Balaam are killed. There’s yet another census. Joshua is named Moses’ successor. And generally speaking, the whole nation is made ready for the next chapter: entering the promised land. But not just yet. 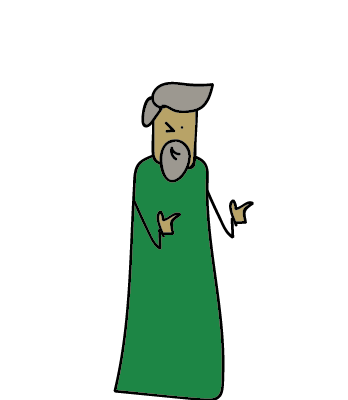 Moses has a very important message for them—but that’s covered next in Deuteronomy. Numbers shows us how a holy God dwells with His people. Israel rebels against God, and even Moses disobeys Him, but God is faithful to bring this nation to the promised land. God keeps His promises: the promises He made to Abraham in Genesis along with His promises to bless and punish Israel. Although few of us are in the nation of Israel’s position today, the stories in Numbers still serve as good examples to us. Paul teaches that the events in Numbers are recorded for our instruction, that we may endure and escape temptation (1 Co 10:11–13).